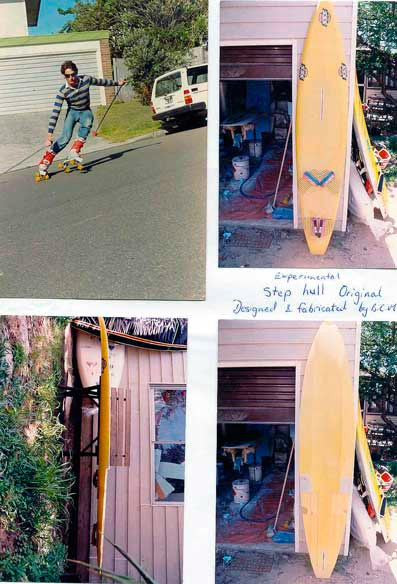 I was not even a teenager when I was first shown a photo of this strange new contraption that was a mix between surfboard and sailboard. The man who showed me the photo was father of my then best friend Clinton Rose, Peter. 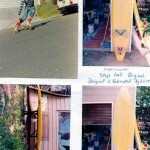 Peter Rose was the man who taught Australia’s first World Surfing Champ ‘Midget Farrelly’ how to surf and the man who taught me but I missed out on the compete part of the instruction. While on one of our first surf-safaris Peter Rose explained to me how people have trouble opening their minds to accept that something can be result of linking two distinct worlds of enthusiasts such as the surfing world and the sailing world. 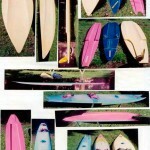 These ideas generally conceived by someone who knows no frontiers..
For the purists the idea was heresy and wouldn’t get any support from their part so it took nearly fifteen years before it finally broke down the barriers and became accepted as its own world, the one known as ‘Wind-Surfing’. 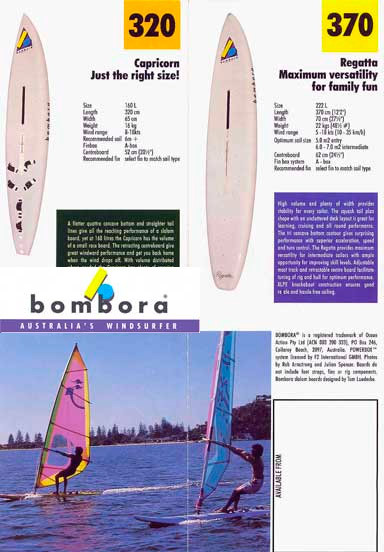 While out one day on a friends boat with a group for a picnic I was offered a go on one of the original ‘Windsurfer’ brand windsurfers. Obsessed with the idea of dominating the beast, the hours turned into minutes before I finally returned the board to the tune of “time to head back, Oh by the way, lunch was nice!”. Some just don’t know when to give up I suppose. Due to the manufacture of my ‘Mcski’ wakeboard at the ‘Bombora’ sailboard factory it was there that I was surrounded by some amazing technology. Giant rocking ovens which baked new roto-moulded windsurfers, a foam injection room where the injection machine was constructed of parts from submarine’s gearbox and many tools and gismos needed for the construction of these mass produced items. I quickly became absorbed in the sport as I commenced work in the factory to back up my basically part time involvement with the ‘Mcski’ business due to its slow growth. 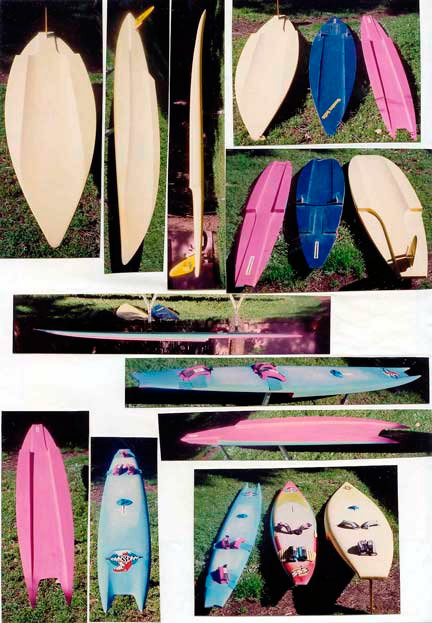 While there I designed a few models, one of which (the Capricorn) became so popular that it was Australia’s biggest selling sailboard in its first year of production and was kept in production for over twelve years. 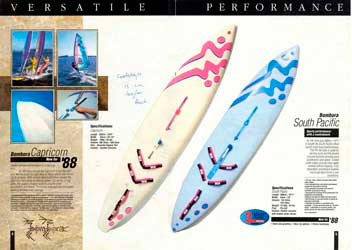 (maybe still going ..have to check) My passion in the sailboard design world was to make step-hulled craft (hydroplane) sailboards of various combinations, directed at slalom and the high-speed time trial type section of the sport. 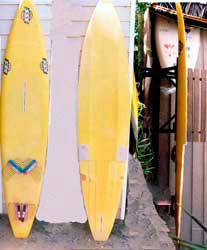 This is something which I have postponed due to my moving to Europe and being distracted by my involvement in the surfboard industry. Windsurfing suffered a decline after it’s boom years in the early eighties but there are still many die-hard enthusiasts in what had been regarded as a fairly elitist sport due to the ongoing expenses of keeping up with the ever evolving technology in sail and hull design etc. 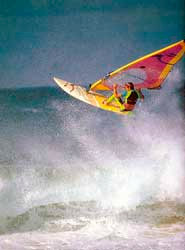 Now the new craze is ‘Kite-surfing’. I wonder if Peter Powell* had imagined how far his concept would reach. * Peter Powell developed a twin stringed kite that could be made to do aerobatic tricks and mass marketed the concept with great success.